Comments: This article suggests clear citation advantage for OA publishing, though the analysis was restricted to scholarly articles and ignored the legal status of full-texts. Abstract: First, we aim to determine the total amount of scholarly articles freely available on the internet. Second, we aim to prove whether there exists a citation advantage for open publishing. The total scholarly publication output of Norway is indexed in Cristin, the Current Information System in Norway. Based on these data, we searched Google Scholar by either DOIs or titles and denoted a document as open available (OAv), when a link to a full-text was provided. We analysed the extracted data by publishing year, citations, availability and provider. Based on additional information indexed in Cristin, we furthermore analysed the data by year, institution, publisher and discipline. We find that the total share of freely available articles is 68%. Articles not available belong to prestigious publishers such as Elsevier, Springer, Routledge and Universitetsforlaget (the largest Norwegian academic publisher), which may be particularly essential for scholars worldwide. The largest provider, according to Google Scholar’s main link provision, is ResearchGate. In addition, institutional repositories play a major role in posting free article versions. Articles belonging to natural sciences and technology, and medicine and health were more likely to be open than articles belonging to the social sciences and humanities. Their respective OAv-shares are 72, 58 and 55%. We find a clear citation advantage for open publishing; on average, these documents received twice as many citations, indicating that open access is the future in publishing. This study is limited to scholarly articles only. Books and book chapters, which are usual publication formats for the humanities and social sciences, are excluded. Results do therefore not adequately reflect the situation for these disciplines. Furthermore, this study is limited to documents freely available on the internet, independent of the “legal” status of the posted full-text. With the data at hand, we were not able to distinguish between gold, green, hybrid, purely pay-walled and illicitly posted documents. Usually, articles indexed in Web of Science or SCOPUS are objects of investigation. However, these databases do not sufficiently cover the humanities and social sciences, and therefore cannot be representative of the total scholarly article output. This study captures the total article output of a country, independent on discipline and provides new insight into open publishing. Mikki, S. (2017) Scholarly publications beyond pay-walls: increased citation advantage for open publishing. Scientometrics, 113(3): 1529-1538. Comments: A survey on attitudes towards gold OA. The six main takeaways identified in the article were: 1. The prevailing attitude toward open access is often ambivalence. 2. Faculty are often conservative in their acceptance of OA. 3. Applied STEM fields are more accepting of OA. 4. Willingness to pay varies by source of funding. 5. Ambivalence provides a teachable moment for libraries. 6. Funding for APCs can be crucial for libraries. Abstract: The viability of gold open access publishing models into the future will depend, in part, on the attitudes of authors toward open access (OA). In a survey of academics at four major research universities in North America, we examine academic authors’ opinions and behaviors toward gold OA. The study allows us to see what academics know and perceive about open access models, their current behavior in regard to publishing in OA, and possible future behavior. In particular, we gauge current attitudes to examine the perceived likelihood of various outcomes in an all-open access publishing scenario. We also survey how much authors at these types of universities would be willing to pay for article processing charges (APCs) from different sources. Although the loudest voices may often be heard, in reality there is a wide range of attitudes and behaviors toward publishing. Understanding the range of perceptions, opinions, and behaviors among academics toward gold OA is important for academic librarians who must examine how OA serves their research communities, to prepare for an OA future, and to understand how OA impacts the library’s role. Tenopir et al. (2017) Imagining a Gold Open Access Future: Attitudes, Behaviors, and Funding Scenarios among Authors of Academic Scholarship. College & Research Libraries 78(6): 824-843. Author: Alex Miles is Deputy Director of Communications, Advocacy & Global Affairs at the University of Nottingham. Notes: Framing of the idea of the civic role of universities in the context of the UK obsession with Excellence Frameworks. Plays with the idea of a “Civic Excellence Framework” including many aspects of cultural engagement with communities, quality of staff experience, and salary levels. Snippet: The public value and civic role of universities have, over the last 18 months, become a major topic of debate. This national conversation has emerged in response to pressure from three sources. The first is societal pressure on the purpose and utility of universities. The second is internal pressure – illustrated by pay and pension disputes – but underpinned by longer-term unease about marketisation and reforms of higher education. The third pressure, exerted by politicians and regulators who detect that universities are losing the consent of the public to continue to operate – with independence – in the manner we have been. Notes: Christina is an experienced information services librarian trying to get a set of information for a project. Here she encounters the “book problem” i.e. no central index that is usable and resorts to data from Harvard. This is probably a strong recommendation for using it as a source. Snippet: Current project I’m obsessing on (it’s actually really cool and interesting and fun) spans political science, history, philosophy, and even some sociology and criminal justice. So I played all my reindeer games on the journal articles, but when it comes to analyzing the abstracts, a lot were missing. I wanted to ignore these, but they were whole collections from extremely relevant journals and also nearly all of the books. The journals I filled in what i could from Microsoft Academic (no endorsement intended). Undertook survey of 81 UK academic or HEI library copyright policies to analyse extent of institutional adoption of joint copyright ownership. Used Google search to locate policies on websites, downloaded and analysed manually into four key concepts, by “mission” grouping or category of HEIs and date of policies.. Universities have not yet addressed ownership rights with academics, leaving them to negotiate with publishers. Universities have instead implemented open access policies and research funders have set mandates. Identifies a “disconnect” between copyright policies and open access practice. The purpose of this paper is to consider how the open access policy environment has developed since the Rights Metadata for Open Archiving Project’s call in 2003 for universities and academics to assert joint copyright ownership of scholarly works and investigate whether UK universities are moving towards a joint copyright ownership. Design/methodology/approach The paper analyses 81 UK university copyright policies to understand what proportion make a claim over: IP ownership of all outputs; the copyright in scholarly works; re-using scholarly works in specific ways; and approaches to moral rights. Results are cross-tabulated by policy age and mission group. 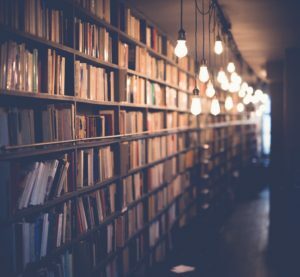 Findings Universities have not asserted their interest in scholarly works through joint ownership, leaving research funders and publishers to set open access policy. The paper finds an increased proportion of universities assert a generic claim to all IP (87 per cent) relative to earlier studies. 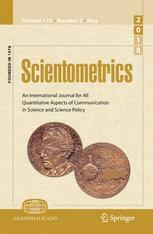 In total, 74 per cent of policies relinquished rights in scholarly works in favour of academic staff; 20 per cent of policies share ownership of scholarly works through licensing; 28 per cent of policies assert the right to re-use scholarly works in some way; and 32 per cent of policies seek to protect moral rights. Policies that “share” ownership of scholarly works are more recent. The UK Scholarly Communication Licence (UK-SCL) should have an impact on this area. The reliance on individual academics to enforce a copyright policy or not to opt-out of the UK-SCL could be problematic. The paper concludes that open access may still be best served by joint ownership of scholarly works. Originality/value This the first large-scale analysis of UK university policy positions towards scholarly works. The paper discovers for the first time a move towards “shared” ownership of scholarly works in copyright policies.